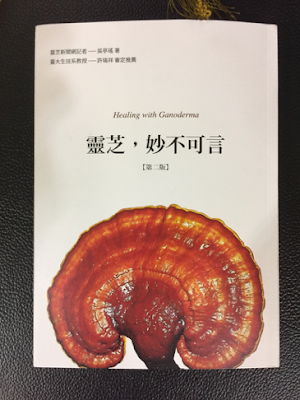 Ms Wu Tingyao is a news editor and from her interviews with experts on Lingzhi and research, she produced a book titled Healing with Ganoderma (which is in its 2nd Edition now). 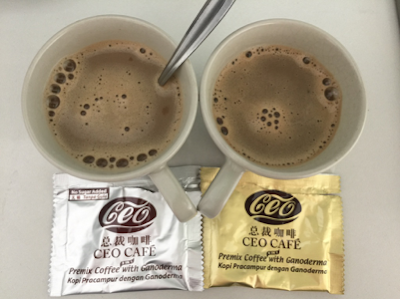 This post focuses on one of the chapters in her book, which is on how Lingzhi helps with cancer. Cancer is still one of the most feared diseases. There is no permanent cure. Once we are struck with cancer, we become a walking time-bomb, as the tendency of recurrence is very high. We can only prevent it or learn how to manage it when we have it. Cancer is the growth of a group of uncontrollable cells which mutate to become tumour. It only becomes detectable when it grows to 1-2 cm in size. If it is localised and doesn't cause damage to surrounding tissues, it is Benign. If it starts to grow and spread, it becomes Malignant cancer. All of us have cancerous cells but in a healthy person, the quantity is not large enough to create massive damage. In order to treat cancer, the main objective is for the patient to be able to live a quality life, like an ordinary healthy person. We can't get rid of cancer cells completely. (a) Minimising the quantity of cancer cells. (b) Slowing down the growth rate of cancer cells. The conventional treatment of cancer involves surgery, chemotherapy and radiotherapy. This way definitely cause side effects and damage to surrounding tissues. But yet it is not treating the root cause of the problem. There are many testimonies on how Lingzhi has helped cancer patients.